The Harrier Jump Jet was designed by the British military in the '60s, noted for being the first successful vertical take-off jet fighter, powered by thrust vectoring. Consisting of four main models, production and military use of the Harrier family continued up until 2003. 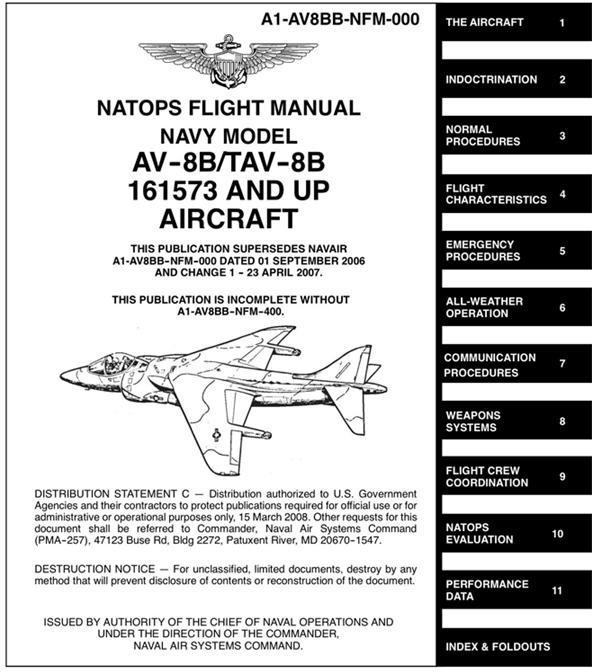 With the cease of production, the military recently released a declassified flight manual that shows all procedures and operations. Wired has posted a selection of choice docs. Read up. Who knows. Maybe one day you'll have a chance to handle that baby... and you'll want to be able to execute the wicked precision demonstrated below. awww they were so awesome but our stupid goverment scraped them all!